Stay in the Heart of Heritage District Just 20 minutes from Dubai International Airport, Hyatt Regency Dubai is among the most prominent 5-star hotels in Deira, Dubai. 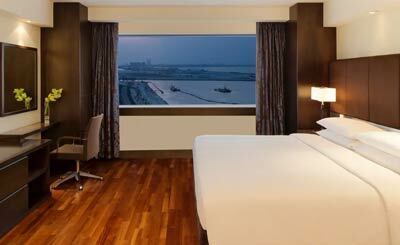 Book a room at this plush hotel to admire the scenic beauty of Dubai's skyline and the Arabian Gulf. Prominent landmarks and attractions such as Dubai Museum and Bastakia Quarter are around five kilometres from the hotel, while the famous bustling souks are just a walk away. Spacious Rooms The 421 rooms in this hotel are divided across three categories namely standard, deluxe and suites. Book a Regency Club Room for complimentary benefits such as boardroom usage and exclusive entry to the Regency Club Lounge. The lounge is popular for its continental breakfast and evening cocktails. Scrumptious Dining and Recreation for All Hyatt Regency Dubai has many bars and restaurants, including four award winning ones; Al Dawaar is one of them. This is the only revolving rooftop restaurant in Dubai. 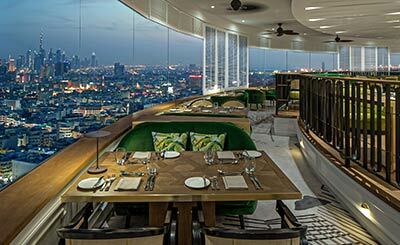 Here you can savour a range of international dishes while admiring the dazzling views of Dubai. The Kitchen, Miyako and Shahrzad are the other three award-winning restaurants. Recreation facilities in the hotel include an ice rink, tennis courts, and an outdoor swimming pool. 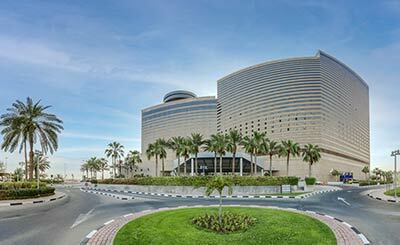 Hyatt Regency Dubai places you in the heritage area of Deira. Also, its location on the Corniche and its proximity to Dubai Museum, Bastakia Quarter, and traditional souks make it a preferred choice for many travellers. 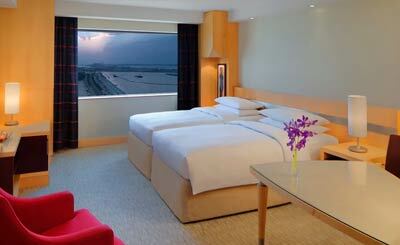 Guestrooms at Hyatt Regency are divided across View, Standard, Regency Club, and Suite options. Regency Club rooms are located on a private concierge floor and offers complimentary access to pool, fitness centre, and spa. 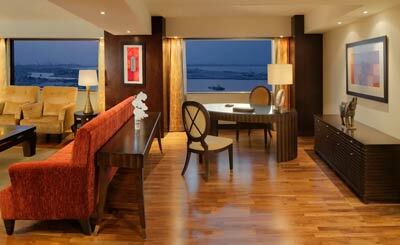 The floor-to-ceiling windows of these rooms offer stunning views of the Arabian Gulf. Experience a lavish stay at Regency Suite King, which features an entry foyer and a separate living room. 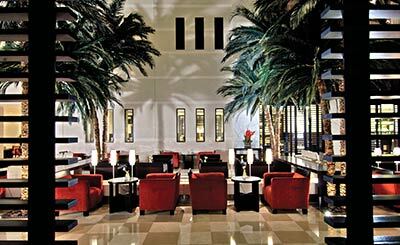 There are many restaurants and bars at Hyatt Regency Dubai, including a few award-winning ones as well. You can dine at Al-Dawaar, the only revolving restaurant in Dubai which has international buffet dining and offers scenic views of Dubai's skyline. Miyako and Sharzad are two other popular dining spots where you can savour Japanese and Iranian cuisine. 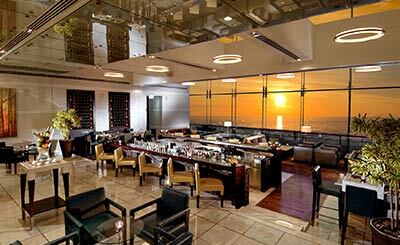 The Bar, the Lobby Lounge, and Hibiki Karaoke Lounge are notable bars and lounges here. Hyatt Regency's Club Olympus Spa & Fitness boasts a gym, a spa, tennis courts, and an outdoor swimming pool. 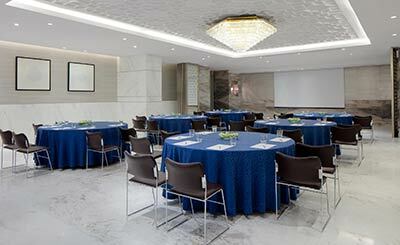 At the hotel's Crystal Ballroom one can hold a variety of business as well as social events.